Value Priced White Tissue Paper - 20"x30"
Priced right high quality tissue paper in the basic and classy colour, white. 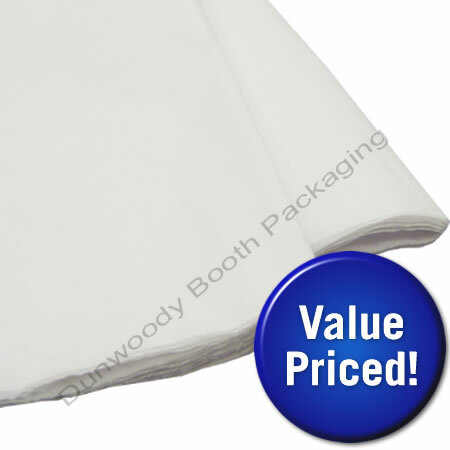 Dunwoody Booth Canada has a minimum order value of $50.00. Copyright Dunwoody Booth Packaging. All Rights Reserved.